Worst Tornado Outbreak on Christmas Day In History across the Midwest and Southeast U.S. 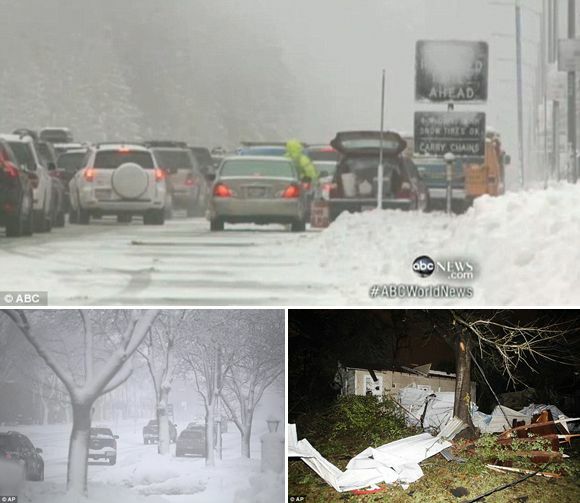 The Christmas this year has not been very pleasant for the dwellers of the American West Coast as the severe weather wreaked havoc across the Midwest and Southeast leaving three dead and dozens injured. Mail Online reports that Twisters hopscotched across the Deep South, and, along with brutal, straight-line winds, knocked down countless trees, blew the roofs off homes and left many Christmas celebrations in the dark. Holiday travelers in the nation's much colder midsection battled treacherous driving conditions from freezing rain and blizzard conditions from the same fast-moving storms. In Mobile, Ala., a tornado or high winds damaged homes, a high school and church, and knocked down power lines and large tree limbs in an area just west of downtown around nightfall. WALA-TV's tower camera captured the image of a large funnel cloud headed toward downtown.